You want peace and a happy retirement, Pacorus? The only way to ensure both is to eradicate your enemies before they have a chance to mobilise. So, are you a warlord or farmer? Pacorus and Gallia have survived their time of trial in Media and have returned to Dura, intent on no longer fighting Parthia’s wars. And it just so happens that the empire is at peace. In the east, Satrap Kewab, a son of Dura, has fought the Kushans to a standstill, and in the west relations between King of Kings Phraates and the Roman leader Octavian are never better. A relieved Pacorus turns his attention to irrigation and farming, happy to leave the matter of the return to Rome of the eagles he captured at Carrhae to Phraates, the scheming, untrustworthy high king. But there are other seeds that have been planted aside from the ones placed in Dura’s now fertile soil, and soon rumblings of conflict are heard in the north. While Pacorus thinks of peaceful prosperity, others brood and want vengeance, and have no qualms about dragging Parthia’s most famous warlord into fresh bloodshed. Soon, Pacorus is leading Dura’s army once more to war, in a conflict that will see him win his greatest victory, while suffering painful personal loss. 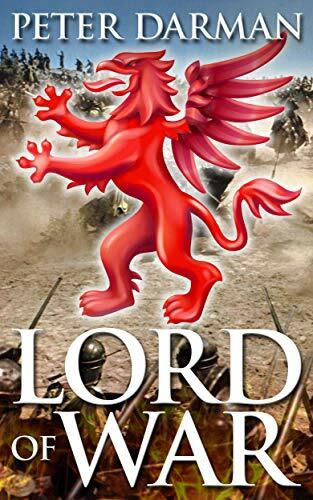 ‘Lord of War’ is the eleventh volume in the Parthian Chronicles series and follows on from ‘The Slave King’. An updated map of the Parthian Empire in the 1st century BC can be found on the maps page of my website: www.peterdarman.com.